A permanent solution to hair removal! 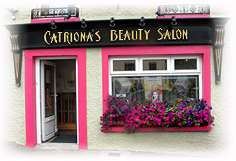 At Catriona’s Beauty Salon we use the ‘Apilus Electropil Junior’ professional computerised epilator for flash thermolysis, galvanic epilation, OMNI-blend, and anaphoresis and cataphoresis. This allows us to provide the most comfortable and effective treatment for our clients. The flash technique is the most common and fastest method. Using the Apilus automatic timer the epilator will send the required amount of energy during a very short period of time, offering remarkable results. With the needle inserted in the follicle, a direct current is applied causing a chemical reaction resulting in the production of lye (sodium hydroxide). The client holds a positive electrode to create a current flow, and the amount of lye produced in the follicle depends on the intensity and the duration of the current. Galvanic epilation offers a lower rate of regrowth than thermolysis, but requires a longer epilation time. This is a mixture of thermolysis and galvanic, with the combination offering the effectiveness of the galvanic and the heating action of thermolysis. 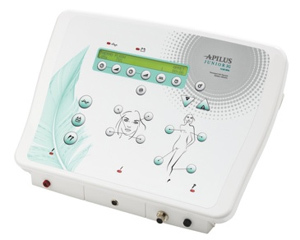 With Apilus, both currents are controlled by the computer to provide the best performance and a safe and comfortable treatment. 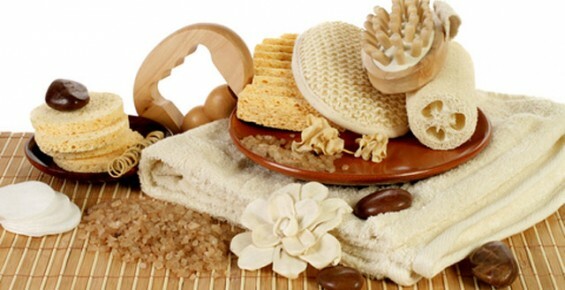 These treatments are used before and after epilation for skin conditioning. Anaphoresis is applied for a few minutes before epilation, causing follicular dilation which makes insertions easier on some skin types (not recommended on dry or sensitive skins). Cataphoresis is applied for a few minutes after epilation, helping the skin to return to a normal pH and the redness to rapidly fade away. Your skin is cleansed with an antiseptic lotion. A new sterile disposable needle will be opened in front of you at each visit so you know there is never any risk of cross-infection. The needle is inserted alongside the hair into the follicle which is a natural opening in the skin, and as such does not involve any piercing of the skin. When the needle is in the correct position, the epilator is used to treat the part of the follicle which provides the new hair. The treated hair is then removed from the follicle, without being plucked. Treatment action in the follicle gradually makes the hairs finer and finer until they no longer grow. How many hairs can you remove in one treatment? There is no set speed we work at hence a figure is not possible. We focus on accuracy and effective treatment, which is far more important than speed. Some areas are more difficult to work on which can slow down the pace of work, while others are easily treated. 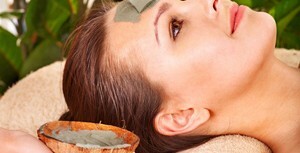 Your skin reaction will also dictate how much work we can carry out in one area, as we do not over treat the skin. This depends how large the treatment area is and how well the skin heals between treatments. This is a permanent method of removing hair and as each follicle is treated individually it does take time. However as the hair grows back finer, the length of time between treatments becomes longer. Regular treatments are vital in the early stages of treatment to ensure progress. The frequency of your appointments will reduce as your follicles respond to treatment. How long will it take before the hair is removed permanently? This is a very difficult question to answer as everyone responds differently. – how much hair is present. – how thick and dark the hair is. – the condition of your skin. – your skin’s healing powers. – how frequently you can attend the salon. – how long the treatment sessions are. – results of previous treatment. 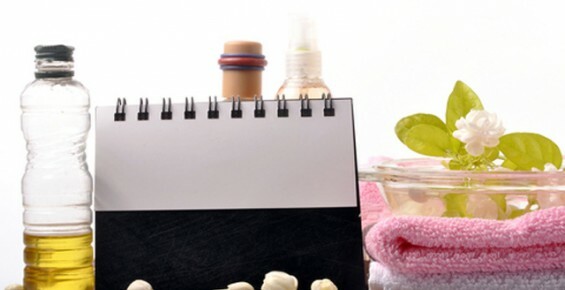 – causes of unwanted hair (can only be estimated after treatment has begun). It is very important to know that we can only estimate, and that nobody can give an accurate time scale. Sensation is relative and individual to each person. The best solution is to try it out on a couple of hairs first so you can feel what it is like; it is always worth it because of the long term benefits. Immediately after treatment the area usually looks a little pink/red. However, special aftercare products will be applied to the treated area and if you follow the aftercare instructions the reaction disappears quite quickly, normally within a few hours. Electro-epilation, when carried out properly, leaves the sin perfectly normal after the course of the treatment has been completed. Definition: Electro-epilation is a permanent method of hair removal involving the use of an electric current. History: Electrolysis as a means of permanent hair removal was first used and documented in the USA in 1875 by ophthalmologist, Dr. Charles E. Michel. Dr. Michel treated ingrown eyelashes (trichiasis) using a surgical needle, which he sanded down to achieve the desired diameter, and a ’wet’ battery, similar to a car battery, from which he obtained his galvanic current. In 1916 the development of the ‘multiple needle’ technique by Professor Paul N. Kree allowed more hairs to be treated in a given time, thus electrolysis became a more practical (if slow) method of removing unwanted hair. In 1924 Dr. Henry Bordier of Lyon, France was the first to use short-wave diathermy for hair removal. Short-wave diathermy is also known as haemolysis. In the late 1920’s and early 1930’s diathermy equipment was unreliable because the ‘spark gap’ machines were inconsistent and difficult to control. In the mid 1940’s new, more reliable, methods of producing the high frequency, alternating current were introduced and resulted in a dramatic rise in the use of short-wave diathermy (thermolysis). The first sterile disposable electrolysis needle was invented by Englishman John Heath.